And in England that means nothing. We have only been back from our travels a week and we are desperate to head off to warmer climes again. The dull, grey skies are positively autumnal and the rain… oh I try to tell myself that it’s good for the grass and the crops and so on but really, I resent it. I am solar powered. I need sunshine. And in July I jolly well expect to see it. So, I am rebelling against British summertime and I encourage you to take a stand too. 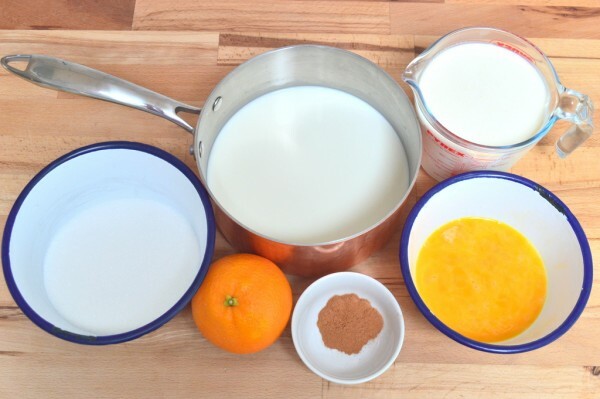 All you need to do is whip up this delicious orange and cinnamon ice-cream and put the heating on. If that doesn’t make it feel like summer, nothing will. 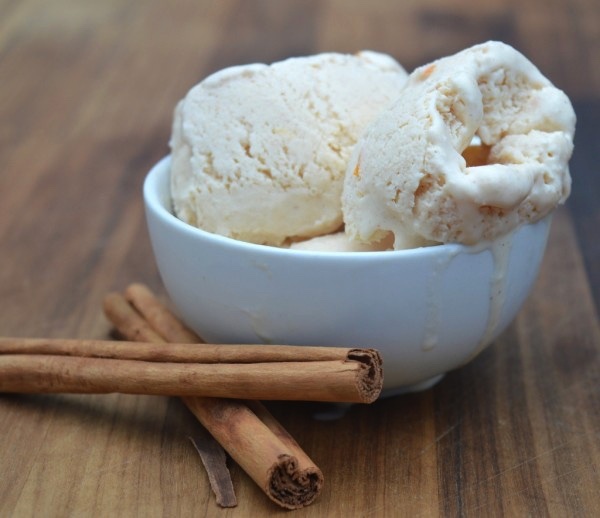 Get your ingredients together and prepare for the best ice-cream EVER! 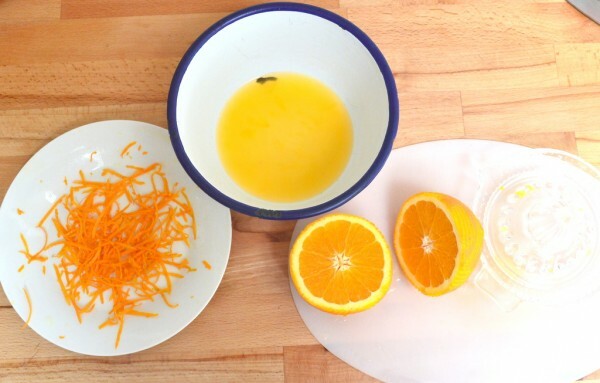 Juice and zest two oranges and set aside. 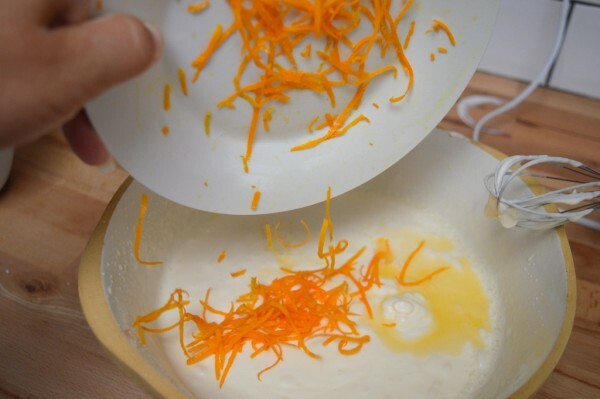 Beat the egg yolks together until fluffy. Whip the cream and sugar together in a separate bowl. An electric hand whisk is useful for this. 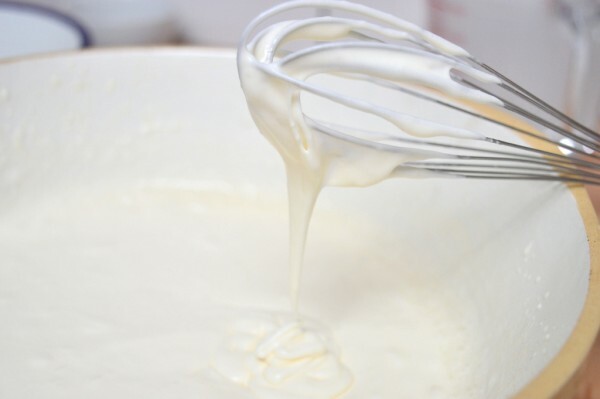 Continue whipping the cream until it thickens but still remains a liquid. It shouldn’t be turning into spreadable cream. 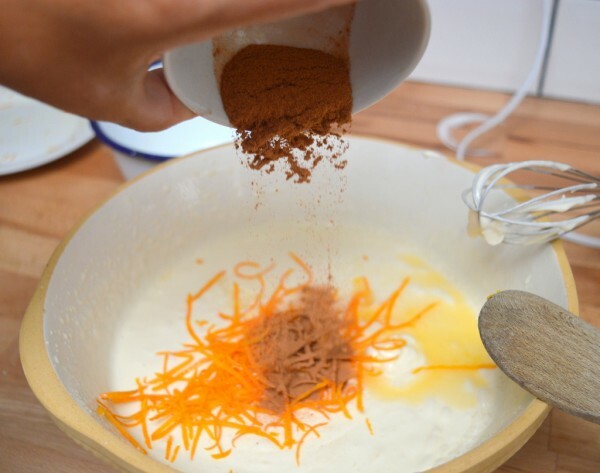 …and the cinnamon to the cream. 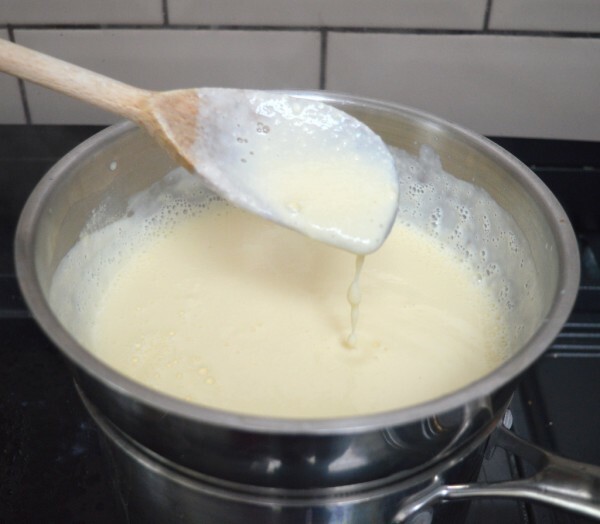 Meanwhile, heat the milk up until boiled then transfer into a bowl over a bain marie. 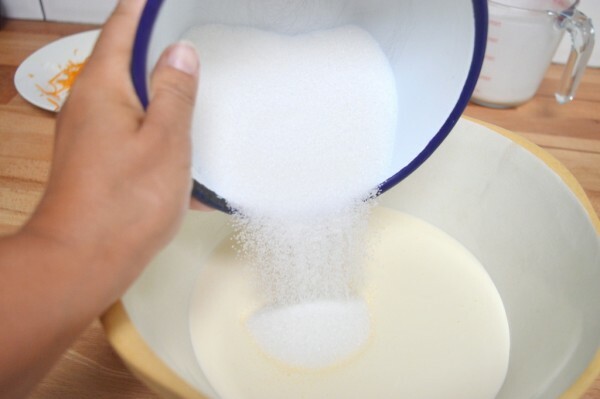 Add two tablespoons of boiled milk to the beaten egg yolksand mix well. 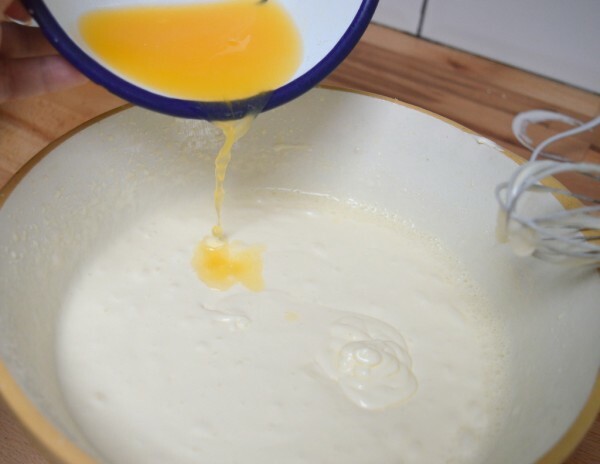 Then add the egg yolks to the rest of the milk over the bain marie whisking them in well. 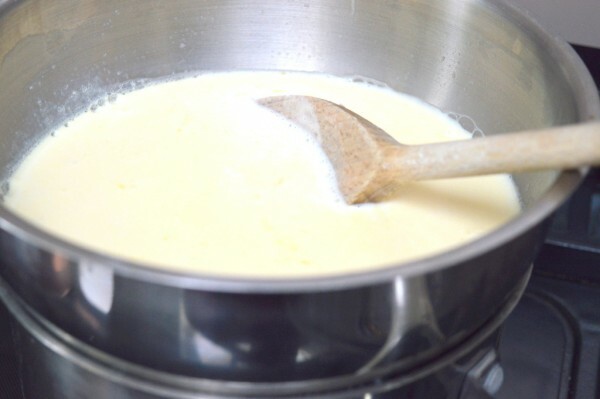 Keep the mixture over the bain marie, stirring as it heats up until it becomes a thick custard. 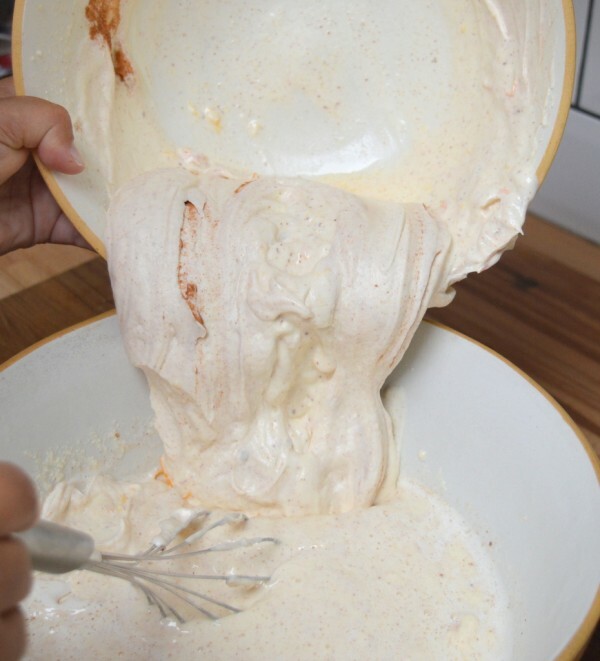 Remove mixture from the heat and transfer to a clean bowl. 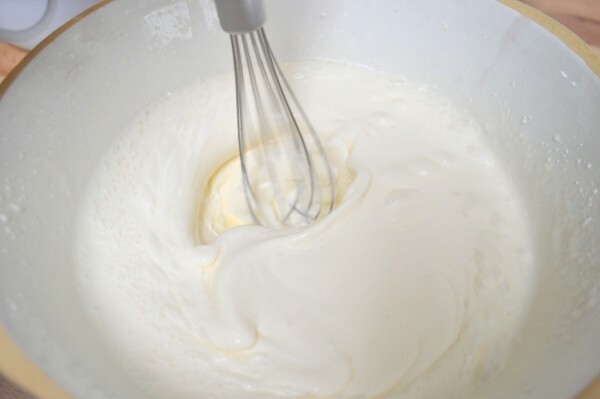 Add the whipped cream to the mixture and whisk well. Transfer to a lidded container and place in freezer. Check on the mixture every 1-2 hours throughout the day, scraping down the sides and lightly whipping the mixture through as the ice cream begins to set. 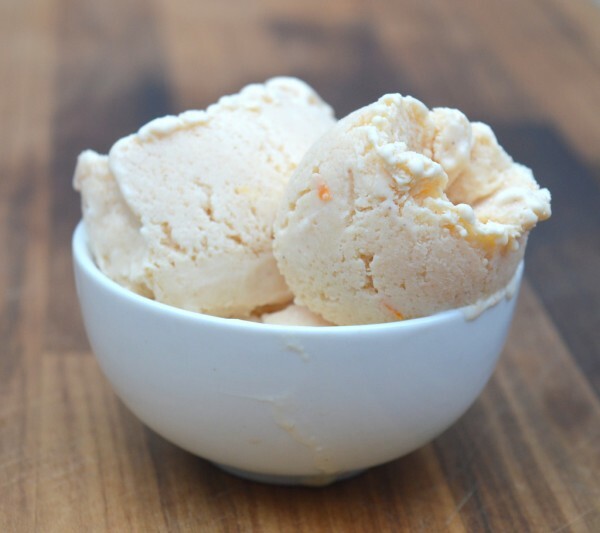 The ice-cream will need to freeze overnight so it is a good idea to prepare the ice-cream in the morning to allow you time to carry out the scraping/whisking over the first few hours before leaving it to settle overnight. Serve when frozen through (you may need to leave it out a short while to allow it to become scoopable!). If you recommend this recipe please share it! 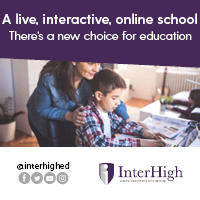 Click over here for more recipes.